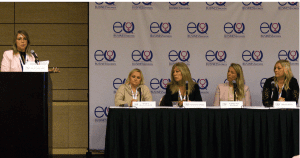 On January 9th, the first ever Equestrian Businesswomen Summit took place in West Palm Beach, Florida. It consisted of an action-packed day with some of the most notable businesswomen in the industry; from social media gurus to self-made entrepreneurs, there was something for everyone who attended. The summit was held at the Palm Beach Convention Center and was a sold-out event; some of the noteworthy attendees included those from the Plaid Horse Magazine, Etalon Diagnostics, and The Chronicle of the Horse. The conference started with two incredible guest speakers, Tracey Noonan and Beatrice De Lavalette. Tracey spoke to the attendees about a variety of struggles she faced early in adulthood which contributed to her to later success in the baking industry. You may recognize her name if you have ever ordered from Wicked Good Cupcakes; what originally began as a small in-home business has transformed into a multi-million-dollar business. Beatrice De Lavalette then took the stage- you may recognize her from her cover on the Chronicle of the Horse. Beatrice was the most critically injured survivor of the 2016 Brussels Airport Bombing. 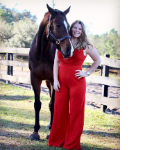 She told her story of courage, perseverance, and love for horses. Beatrice, who had been riding since the age of three, found herself as a double amputee after the bombing. While her road to recovery was not a walk in the park, she told herself that she one day would ride again. Just five months after losing both of her legs, she returned to the saddle on her mare. From that point on, she has made leaps and bounds in her rehabilitation. Now Beatrice finds herself in the US, chasing the dream of competing in Tokyo for the 2020 Paralympic games. 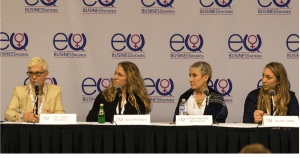 The conference was broken up into distinct sections: The Balance Panel, Jobs Panel, Social Media Panel, and Building a Successful Equestrian Business Panel. Each panel had four experts who spoke about their own paths and experiences and answered questions. This allowed those who were attending an opportunity to hear many different points of views regarding specific topics and questions. The first panel of the day focused on balancing a demanding job in the equine industry with a home and personal life. 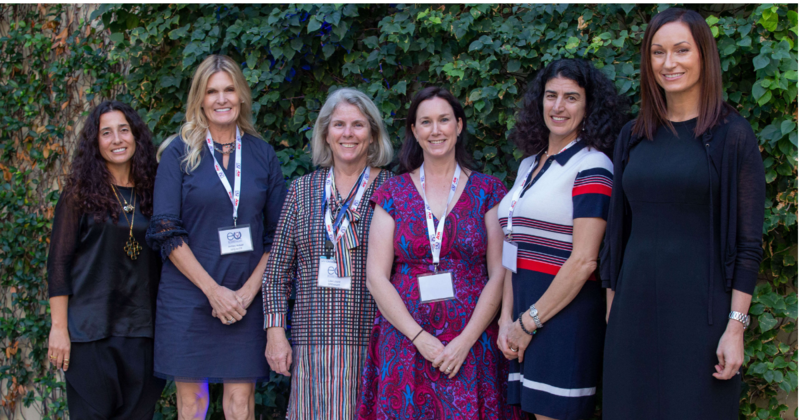 The speakers included Sarah Appel of Horse & Style Magazine, Lisa Davis Engel of A Wynning Advantage and Sidelines Magazine, Mandy McCutcheon of Tom McCutcheon Reining Horses, and Eliane Von Reesema of Hylofit. Each spoke about their tried and true methods regarding how they manage to keep their professional and personal lives distinguished from one another. Each gave many wonderful tips, but one thing that each of the women agreed upon was taking time each day to have your phone on “do not disturb” mode. They stressed the importance of using this time to spend with your family and allowing yourself the opportunity to unwind from whatever may have happened that day. Next to speak were Donna Barton Brothers of Starlight Racing, Nicole Lakin of BarnManager, Janus Marquis who works with the US Equestrian Team, and Dr. Tori Maxwell of Dechra Veterinary Products. These wonderful women spoke about their career paths, how they became distinguished in their fields, and what it takes to carve out a possible nontraditional career in the equestrian industry. This panel was especially intriguing for the entrepreneurs in the crowd who presented the panel with a plethora of wonderful questions. There were many small business owners who spoke up in hopes of acquiring more tips on best utilizing those with their team. The panel agreed that it is critical to allow your team the opportunities to help brainstorm and conduct day to day activities. It was said that the more involved and trusted your team feels, the more willing they are to want to help you continue to exponentially grow your business and stay apart of the vision for the long run. They also mentioned the importance of “first adopters”, these are the people who are the first to continually use your product/service. The panel said that these people will be your biggest supporters and will often help support your business in the early stages of development. The first adopters are critical for small business owners who are looking to make leeway in their niche. This panel was made up of numerous social media gurus. The panel included Lainey Ashker of Lainey Ashker Eventing, Bethany Lee of My Equestrian Style, Patricia de Silva of Heels Down Media and Magazine, and Shona Rosenblum of Grand Slam Social. They all spoke to the importance of keeping up with the newest social media trends and maintaining your image across multiple platforms. Furthermore, they focused on the importance of branding yourself and your company and staying true to your brand. The panelists noted that some of the most successful social media accounts are authentic people who routinely post about their experiences and knowledge. Take Lainey’s #GOTD (Grid of the Day), for example. These are exercises she actually utilizes with her horses on a regular basis and with them she has created a following that eagerly anticipates another #GOTD. The panel consisted of Noel Asmar of Asmar Equestrian, Alexandra Cherubini of Equifit, Olympic Bronze Medalist in Dressage Ashley Holzer, Lisa Lourie of Spy Coast Farm, and Lisa Roskens of International Omaha. Each of these women have taken drastically different paths to get to their level of successes. However, common across the board was the fact that that they all focused extensively on how crucial it is to have a team around you that shares your vision and pushes for those goals every day. These people are the ones who will jump on board with ideas that are seemingly out of the box but feasible, and help you make the vision into a reality. The panelists noted that it is very hard to do everything on your own, that is why having a strong team who acts as your support system is so vital. The conference was a wonderful experience that included with so many insights and tidbits. For those who were unable to make it this year, 2020’s Summit is already in the works. Be sure to keep on the look out for ticketing announcements. I hope to see you there!